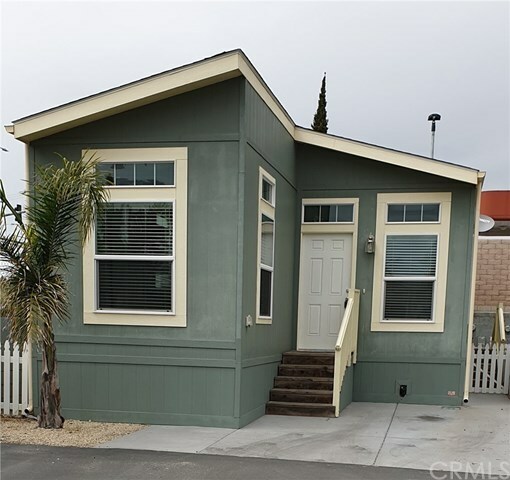 Rare find, Beautiful 2 bedroom, 1 bath manufactured home built in 2015, in an all age park. Tall ceilings, lots of natural light, island in kitchen. Separate dining area. New ceiling fans in living room and master bedroom. Newer appliances, new carpet, new fans, washer and dryer, air conditioner. Low monthly payment of $458.66 includes space rent, sewer and trash.